Energy healing is one of the easiest ways to touch your Soul energy. It is also one of the most beautiful. Energy healing is the process of bringing Source energy into your energetic field and as Source energy is of the highest vibration, it will clear, balance and heal. But as Source energy is also the energy of Love, it will fill your body with pure bliss, an intensely beautiful feeling that is hard to replicate on the physical plane and probably the most surprising sensation for those who experience it. 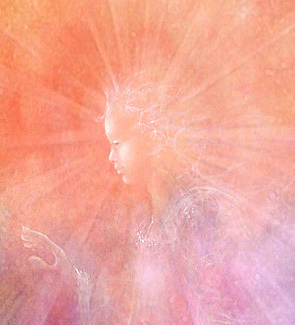 Soul energy is Light and although there is Light within all of us it can be dimmed through our physical experiences here on Earth. For those who have never touched the energy of their Soul, having an Energy Healer work on their body can be a very moving experience. But even for those who are familiar with it, there is nothing more beautiful than having our energy fields cleared and balanced to allow our Love and Light to shine bright. As a Reiki healer, Source energy is channelled through the palms of my hands and is felt as a tingling sensation, varying in strength, heat or coldness as I move around the Chakra points on the body. In Theta, the technique is different as the connection and interaction with Source energy is made on an intuitive level through meditation. But both techniques, and the many others that exist, all hold the same intention, to clear the body of blocks that obstruct or restrict our true vibration. There can be some temporary side affects of dizziness, nausea and even tears if heavy work has been done but generally an Energy Healing will leave you with a misty feeling of lightness and total relaxation. This is communion at the highest level and if you are able to sit with it in stillness and peace, the most beautiful of earthly delights will linger with you.